Open every day from 11am – last entry 3.30pm – close at 5pm. 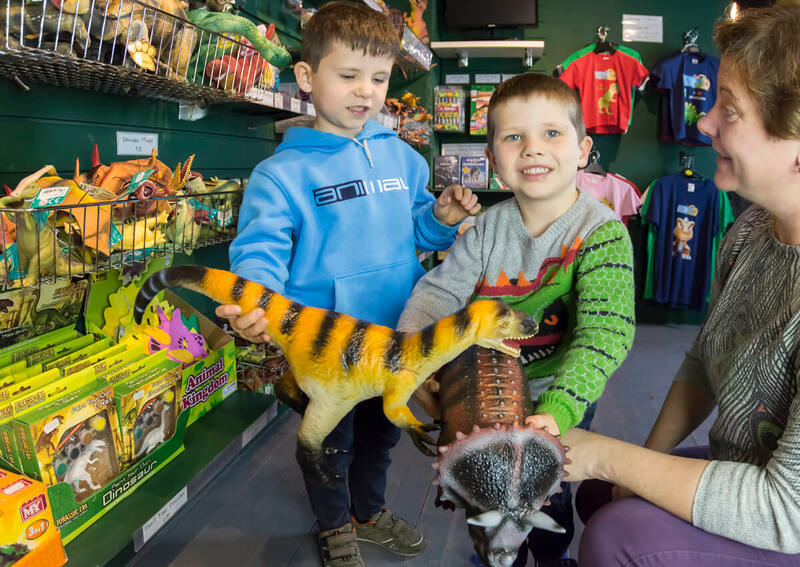 On Saturday 24th May it will be 9 years since Torquay’s Dinosaur World opened and we are holding a week of celebrations. 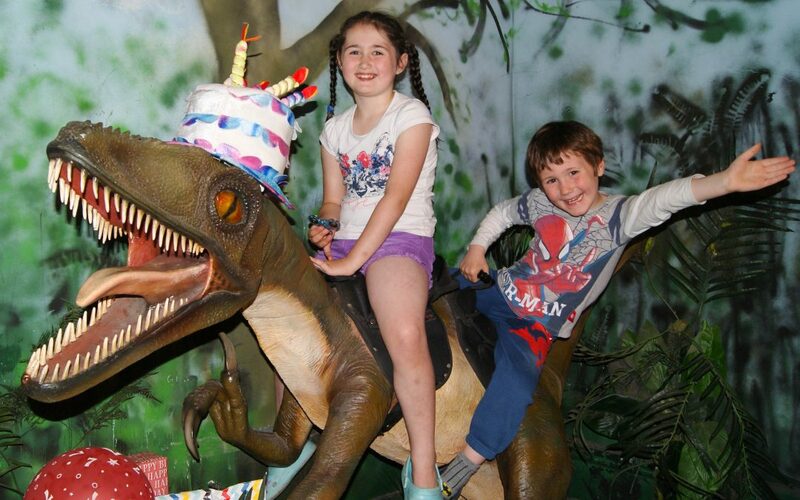 Visit Toby T-Rex, Derek Deinonychus and all their friends to have lots and lots of fun as they celebrate their 9th Birthday. 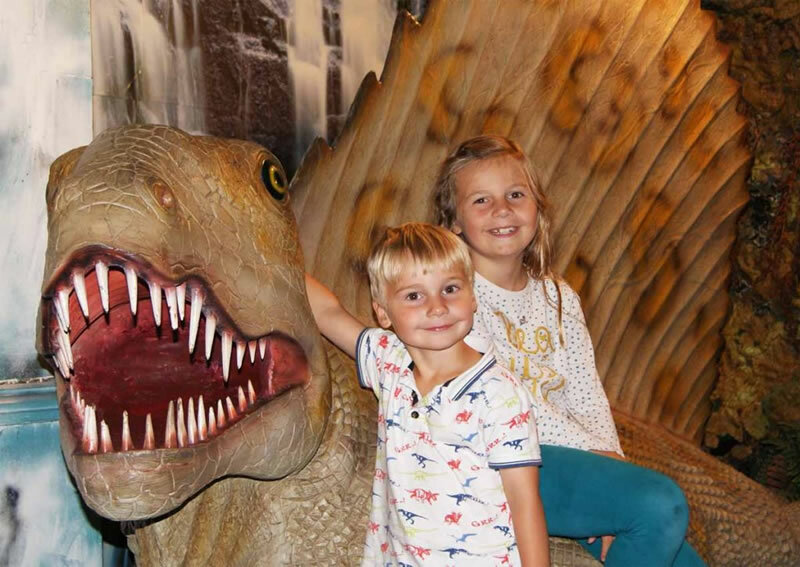 Brave the exhibition during the celebrations to see full size and scale dinosaurs, discover incredible fossils, sit on deadly dinosaurs, and enjoy the fun Birthday Explorer Quiz. And as we have given birthday presents to all our dinosaurs, all little explorers get presents too – a Dinosaur Expert Certificate and a FREE 160-million-year old fossil. PLUS, win a Dinosaur World T Shirt and a Dinosaur Goodie Bag full of toys, models and fossils with our Birthday Card competition. 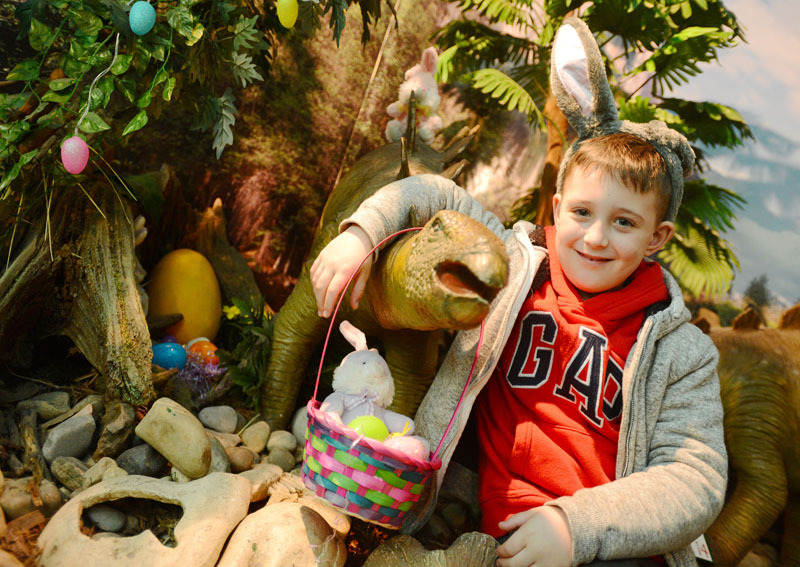 Come and see the world of dinosaurs brought to life. Whether you are little dinosaur fans, or big ones, there’s something for everyone to get their teeth into! Only £6.95 per visitor plus get FREE unlimited re-entry for 3 months.